Jasveer Malaney, PCC is an Executive Coach with Executive Development Associates, based in Singapore. Jasveer is an award winning Senior Certified Executive Leadership Coach who helps managers become more effective and influential in their roles by elevating their leadership abilities. She leverages her 28 years of global experience working with World Bank, Scotts Holding Group, and Kelly Services to collaborate with executives to fundamentally redesign their approach to leading by enhancing their leadership skills. She has worked extensively with women leaders and specializes in the support of high potential leaders. She works with executives to as they make a transition, face the challenge of a culturally diverse work group, or handle difficult relationship. Leading diverse teams enabled her to sharpen her own leadership skills and competency, and through experimenting and developing systems to cope, she learned ways of elevating her leadership abilities and deliver consistent results, saving her company millions of dollars through streamlining productivity and increasing revenue streams. Over the past 15 years she has formally coached senior leaders and teams in Fortune 500 companies and many major non-profit organizations. The industries she has worked with include Aviation, Advertising, Banking, FMCG, Healthcare, Insurance, Technology, Legal, Leisure & Hospitality, Logistics, Manufacturing, Oil & Gas, Pharmaceutical, and Telecommunications. She is a strong believer in personal transformation as the key for sustainable change in business. In her work, she combines her professional experience and entrepreneurial background while engaging enthusiasm, empathy, and care to help clients implement actionable solutions to get results in the shortest time frame. She is a recipient of the Prime Minister’s Award (2002) for Telephone Reminder Services. She received the Global Leadership Coaching Award by the World Coaching Congress (2013). She has edited and published a journal, “Coaching Resource Guide 2012”. Jass is a global speaker at various Industry Conferences such as World Coaching Congress, HRM Asia, and has been featured regularly in the media. 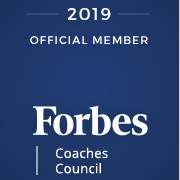 She is serving the current term on the ICF Singapore Chapter as the President-Elect and Membership Chair, and has been actively involved with building the Coaching Community with both the ICF Singapore and the Asia Pacific Alliance of Coaches. She has served on the committee as Vice President (2012-2013). She played key organizing roles in the Asia Pacific Coaching Conference 2010 and 2012. She led the Symposium on “Coaching for Future” during the Coaching Week 2015. She is a Grass root leader for the Siglap South CC and the Centre for Performing Arts.